In just two weeks Celia will be hosting Craig Smith for an amazing retreat designed to combat Stress and Anxiety. 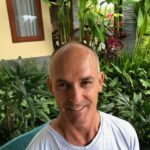 Craig is one of YIMI's trusted teachers who studied a 3 year Post Graduate Diploma of Yoga Therapy under the expert guidance of Dr N Chandrasekaran from The Yoga Vaidya Sala in Chennai, India. 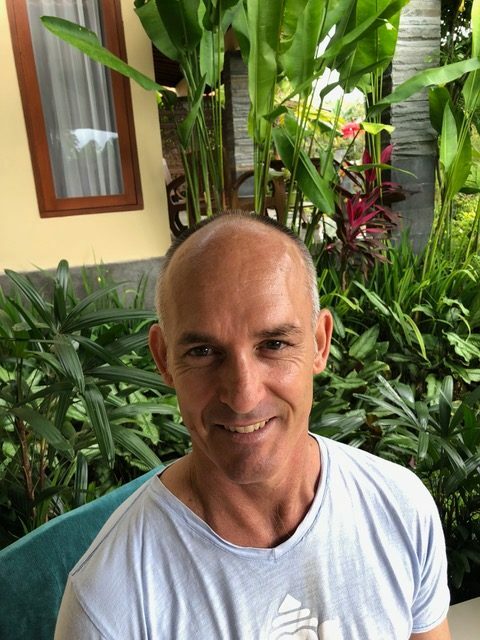 As Craig continues to deepen his knowledge of the authentic practices and techniques as prescribed from Patanjalis’ Yoga Sutras and Krishnamacharya’s Viniyoga tradition, he deepens his ability to offer a broad range of therapy in the treatment of diseases and conditions of the human constitution. We have been blessed enough to catch Craig in an interview as an introduction and warm enticement for the upcoming retreat designed to enhance optimal well-being by teaching you adept knowledge of how modern science, pranayama, yoga postures and the Yoga-Sutra’s align in the notion that the breath allows us access to our inner most being. With practice and refinement well-being is attainable. So Craig, welcome! I appreciate you speaking with me today. I'll get straight into the questions, I would love to know about how breathing has helped you help others with anxiety? The yogic breathing techniques are one of the most simple but powerful techniques to bring calmness to the mind of an individual and to help them realise they have the ability to effect their condition in a positive way. Do you feel posture is important in developing resilient mental health and boosting confidence? The very act of placing your body into certain postures has the ability to change our perception in a positive way. and the always pertinent question, why? When we move ourselves from something that we thought was impossible to that which is now possible then this gives greater confidence and builds resilience in ourselves. What 3 postures do you feel are best for improving the "rounded shoulders" posture in the general population? How have you personally helped people overcome stress and anxiety through yoga and pranayama? I have taught many students with stress and anxiety about the importance of continuity of practice. It does not matter so much about the length of the practice but more so practicing regularly. A regular physical practice and a regular breathing practice strengthens the individual constitution of each person. Any special cases where you were able to link stress, anxiety, breathing, posture and mental health together for a client? I worked with a gentleman who had been off work for 2 years with a back condition and was suffering from anxiety and depression. We put together a very simple personal practice to begin with lots of breathing as well as movements to improve his back condition. He was back to work within 6 months. We reviewed his practice every 4 weeks modifying and changing the practice as his body and mental health changed. I still see him occasionally to check in with him. He still practices regularly with a maintenance program now. As a Senior yoga teacher, what has yoga really helped you overcome in your life? The asana and pranayama aspects of yoga have helped me to live a pain free life. Pranayama, meditation and yogic philosophy have helped me to overcome my attachment to any outcome that is beyond my control resulting in an acceptance of what ever comes. And finally, tell me about the best meditation practice over the years you have used that really helps to reduce stress & anxiety. The feedback from students about the technique that helps them best with reduction of stress and anxiety is the the SOHAM meditation. "Overall, results of the present ALE analysis suggest that meditation practice induces functional and structural brain modifications, especially in areas involved in self-referential processes, including self-awareness and self-regulation , as well as in areas involved in attention, executive functions, and memory formations . Structural and functional modifications in this network may be the biological substrate of the pervasive effect of meditation practice in everyday life. These findings, taken together with previous ones, are leading to new applications of meditation practice in clinical populations and in disease prevention, especially in at-risk groups such as the elderly. In light of recent findings on the potential effect of meditation on age-related cognitive decline [22, 23], it could be intriguing to understand whether neurobiological changes promoted by meditation practice contribute to forming the so-called “Cognitive Reserve” . Possible applications to a wide range of mental disorders affecting self-regulation and self-awareness, such as mood disorders [82, 83], anxiety disorders , and substance abuse , have also to be considered. In any case, further investigations comparing both psychological and neural effects of meditation practice are needed before any conclusions can be drawn."